Life is difficult and uncertain in the Australian outback of a dystopian, post-apocalyptic future. 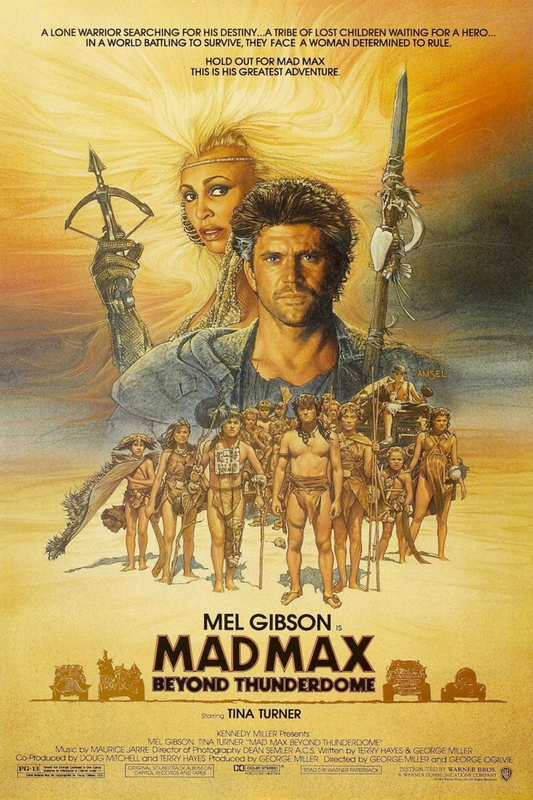 Max Rockatansky was once a cop but now survives as a street smart nomad. After stopping at a settlement called "Bartertown," he finds himself caught up in the lawless city's internal power struggle. Max is forced by the despotic Auntie Entity to do battle in a gladiatorial arena. Although he manages to win, he is immediately thrown out of the settlement. Wandering through the harsh desert, he stumbles upon a group of lost children living on their own. He soon realizes that they are the only survivors of a long-ago plane crash. When several of them leave camp in search of "Tomorrow Morrow Land," Max is forced to rescue them.